We think we found an energy drink we don't mind consuming. The Revolution Greens crew was at one of our favorite hotels on beautiful South Beach and the bartender showed us a drink he claimed was going to revolutionize the energy drink world. We have never been fans of energy drinks, with all the sugar and artificial ingredients, we felt like we were getting our systems polluted with junk. The bartender agreed with us, but said this energy drink is made of Acai and that he had some others made of mango and passion fruit. We bought the sales pitch and tried it. The Drink was Efusjon. Yes it is spelled correctly. 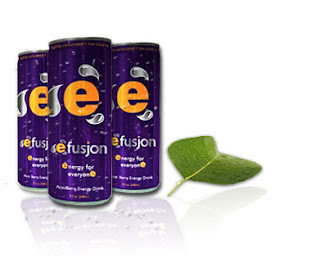 Made from 100% all-natural ingredients and with no preservatives or additives Efusjon is the first of its kind. They have an energy drink that has antioxidant properties which help your body fight the free-radical toxins that we take in each day and another one that combats basic fatigue. Overall they taste way better than the other more well known drinks in this category. 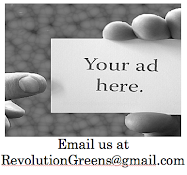 Now that we have you curious check out their website below and enjoy.